Good morning and Happy October! 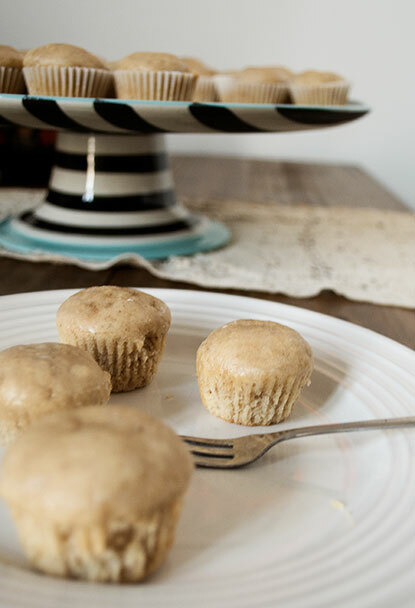 It has been a while since I tried to make muffins, so what better way than to use a fall staple. I first had apple cider at a fall festival in Wisconsin and it has been something I’ve loved ever since. It’s warm, has a bit of spice, and is not too sweet. 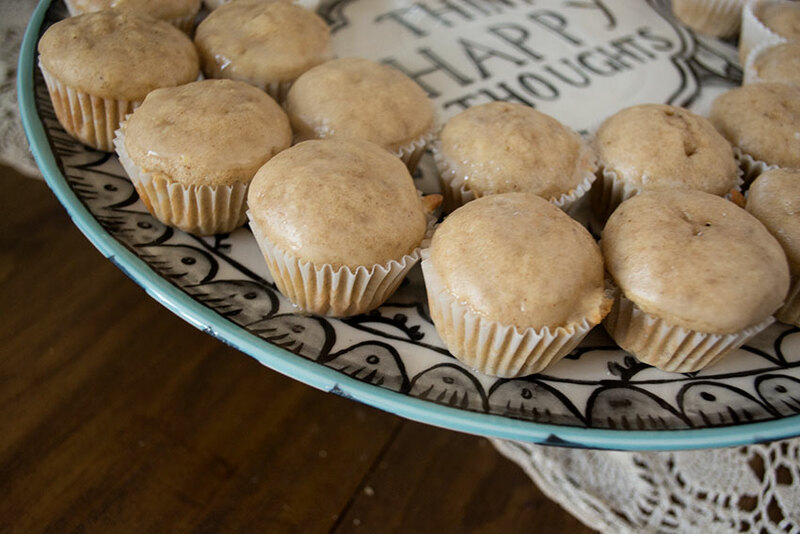 When I first made these muffins, they didn’t turn out exactly how I hoped they would. Though they were fluffy, I was trying to go for a dense texture. I changed the proportions a bit the second time around and added some yogurt and got what I was looking for. I also may or may not have accidentally used a heaping teaspoon of cinnamon instead of a regular teaspoon – but it was a happy accident. Preheat your oven to 350 degrees. Mix together the butter, shortening, and sugar until you get a light and fluffy mixture. Lightly mix in your eggs, one at a time. Add in your dry ingredients and mix until it is just combined. Finally, mix in the cider and yogurt. Feel free to treat yourself to some cider before continuing on. 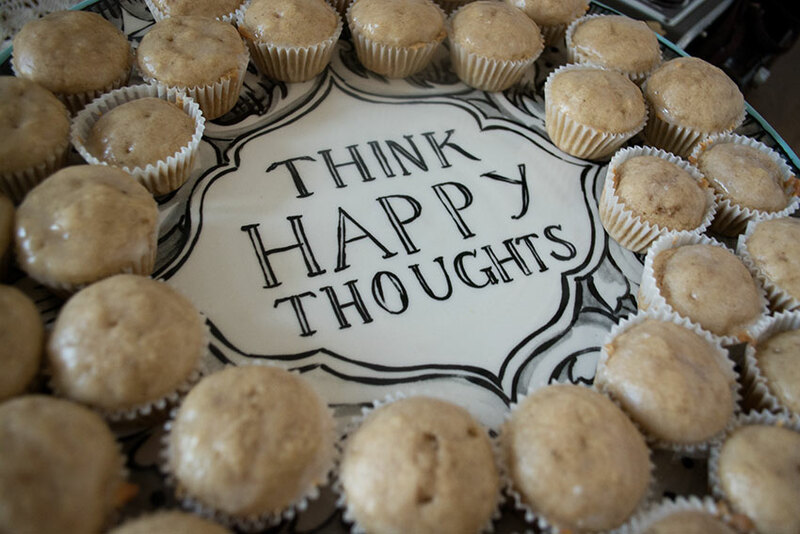 Line a muffin pan with cupcake liners and fill until they are about three quarters of the way full. 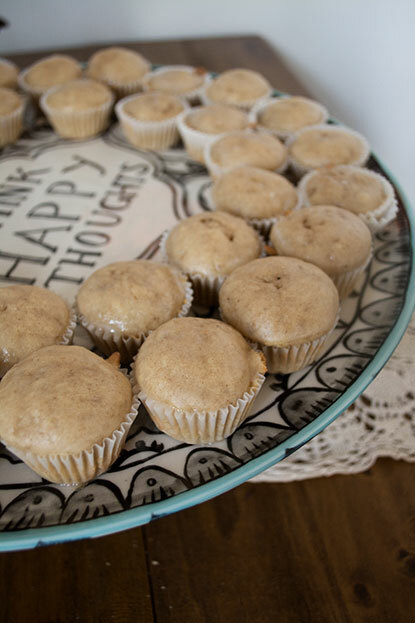 For mini muffins, bake for about 10-12 minutes. For regular muffins, I reckon it would take about 15-18 minutes. Set on a wire rack to cool. In a small bowl, whisk the ingredients for the glaze until all of the sugar has dissolved. You can add as much sugar or milk as you wish to get a texture you like. Once the muffins have cooled, dip them in the glaze and roll the muffin around until you get an even coating. If glaze isn’t for you, these work well without it. 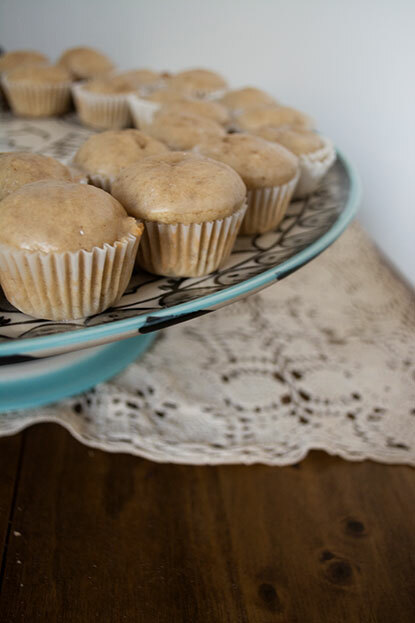 Or you are looking for a different texture, you can also dip the muffins in melted butter and then into a cinnamon-sugar mixture.